Justin did a great job. We were under time pressure to get this done. He was prompt with the quote, and completed the job in exactly the time he said, for exactly what he quoted. Can’t ask for better then that. Thanks. Thank you Paul. We couldn't ask for a better customer! Looking forward to future business. 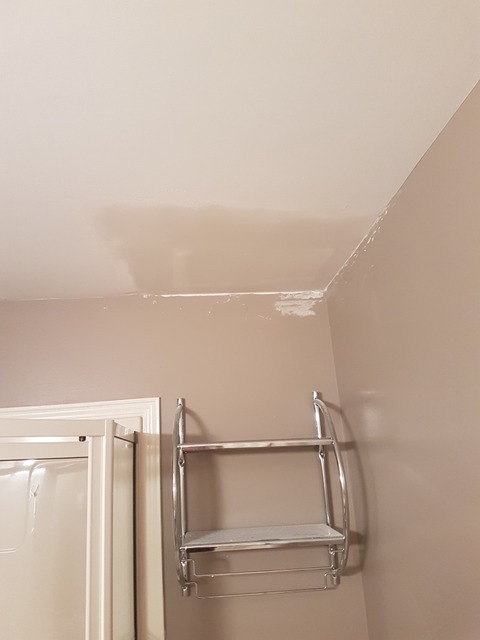 I recently had JL Drywall in to do a repair job from a leaky valve. 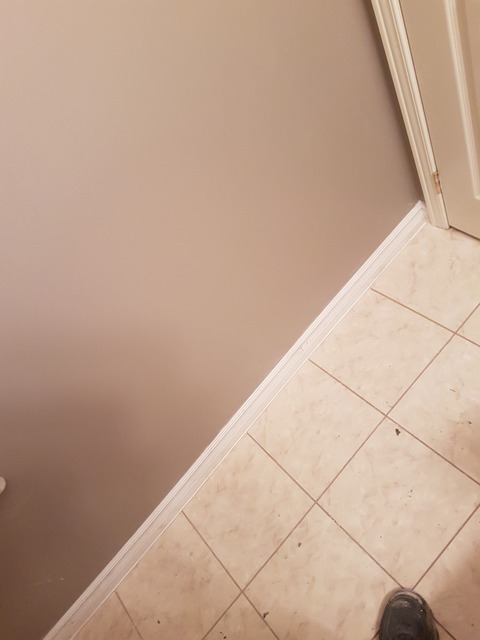 Justin came in to assess the job and gave me a cost to complete the work. He always arrived on the days scheduled and was always on time. His work is outstanding and he completed the job in the time we had agreed upon. 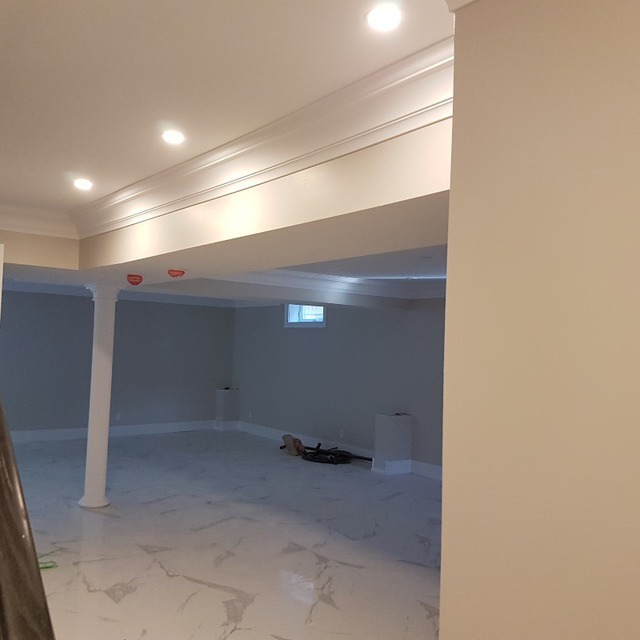 I would highly recommend Justin to anyone who is looking for a drywaller and wants professional work done. Thank you Justin for a great job. It was a pleasure to help. A good customer experience is our number 1 goal. mission accomplished! 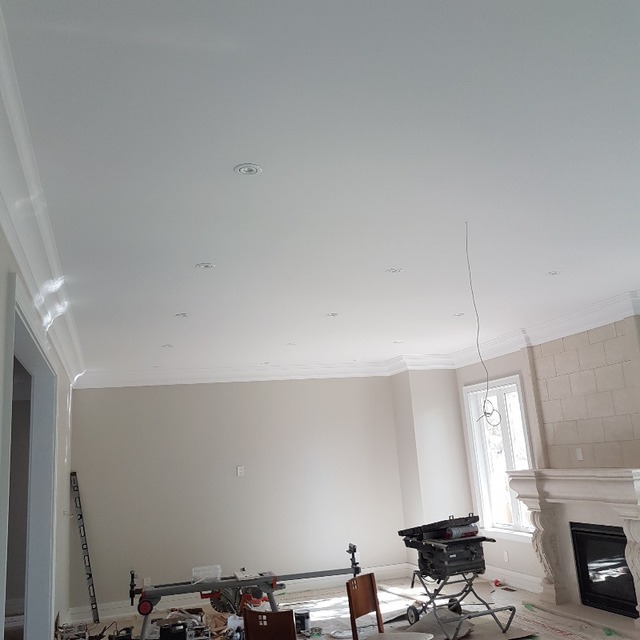 We would like to share our amazing experience of having “JL Drywall” do some work in our home in Whitby. 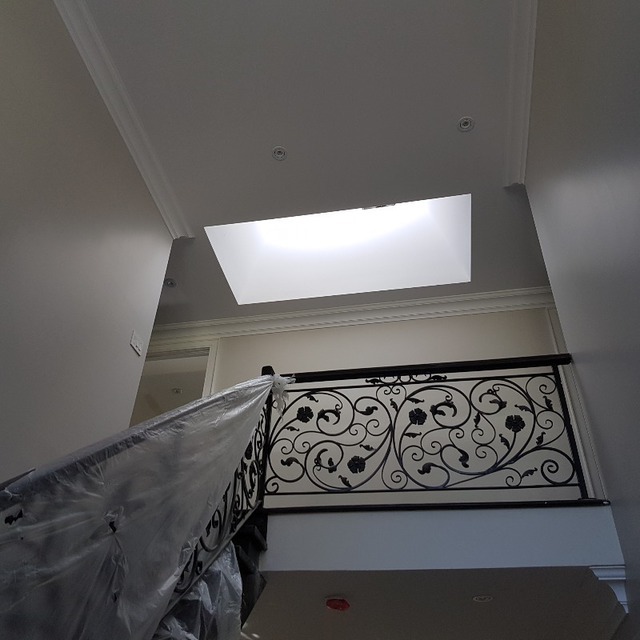 Justin, the gentleman we dealt with, was extremely professional, knowledgeable, reliable and accommodating. 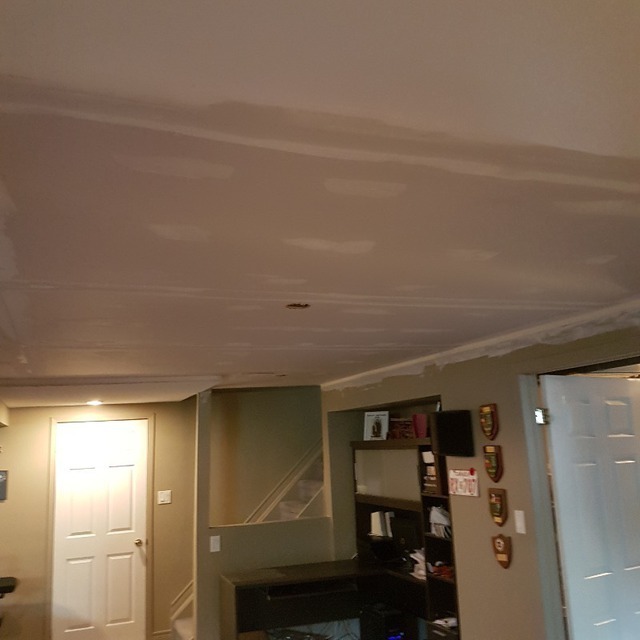 We had water damage in our home and had drywall installed on the ceiling in our living/dining room and in the front hall; JL Drywall installed the drywall and did the mudding and taping. 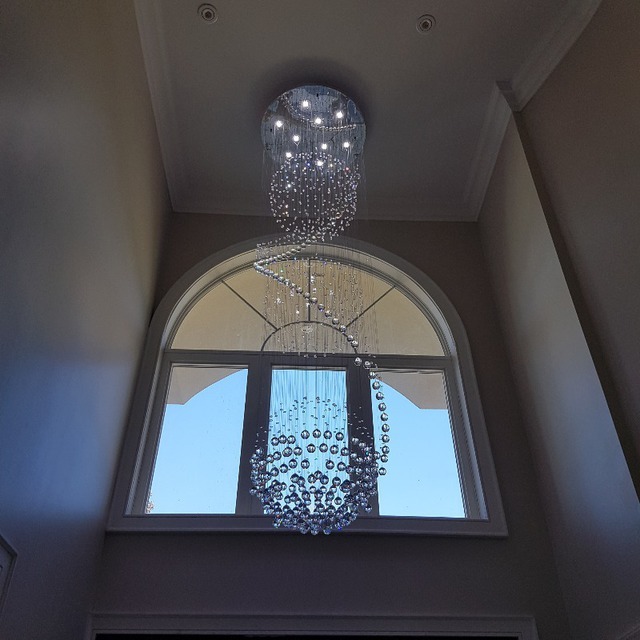 The finished product is absolutely superb; we are very pleased with the outcome. Our family, friends and even neighbours have seen the work that JL has completed and would definitely keep them in mind for future work. 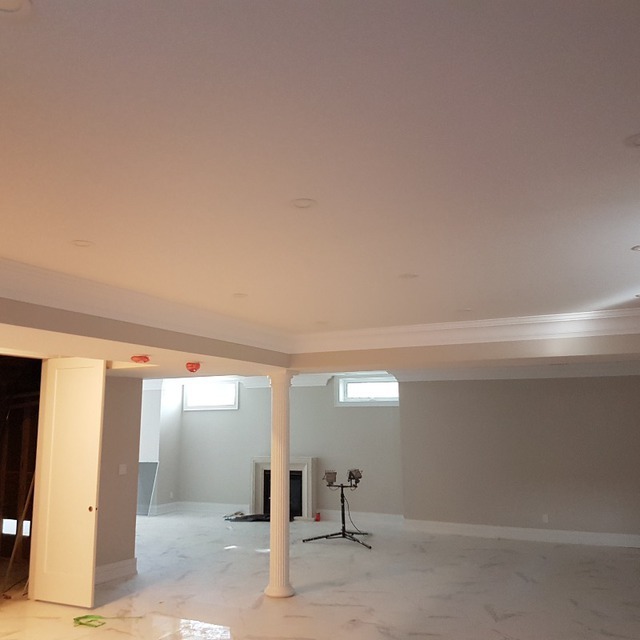 I would highly recommend JL Drywall, without any hesitation. Thank you, Justin, and team, for a job very well done! Your welcome Jim. Customer exoerience is our number 1 priority. surprised he could get to do the required work in a short amount of notice. 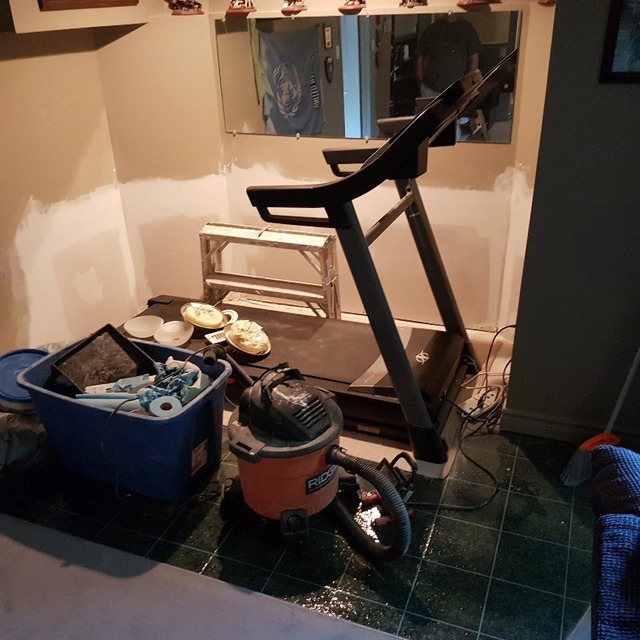 I had water damage from a leaky water valve. 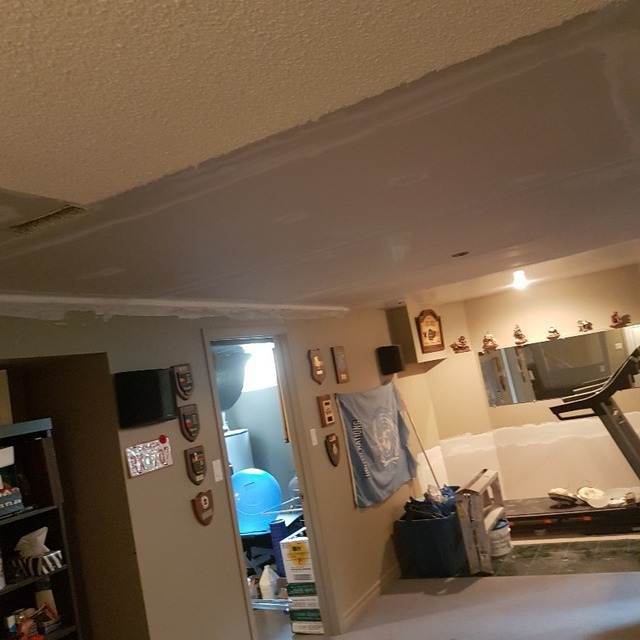 My basement has a drywall ceoling which was stained and damaged. Justin and Christian did the removal of the damaged drywall. Justin over a 5 day span completed the work and it was very well done. 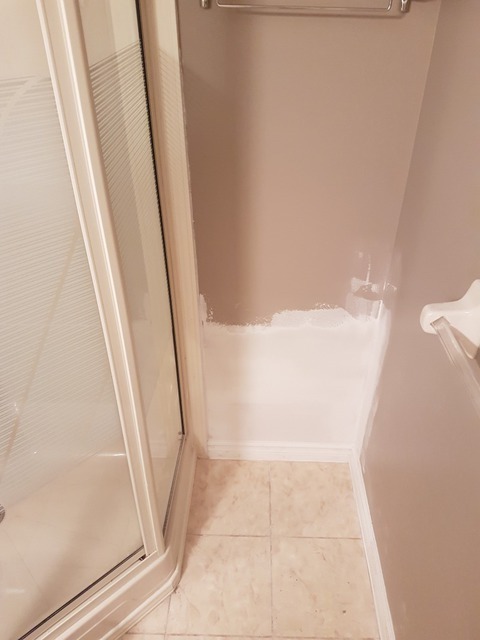 Along the way I asked a Justin to repair other holes that existed from previous disrepair and he happily did so with no reservations. 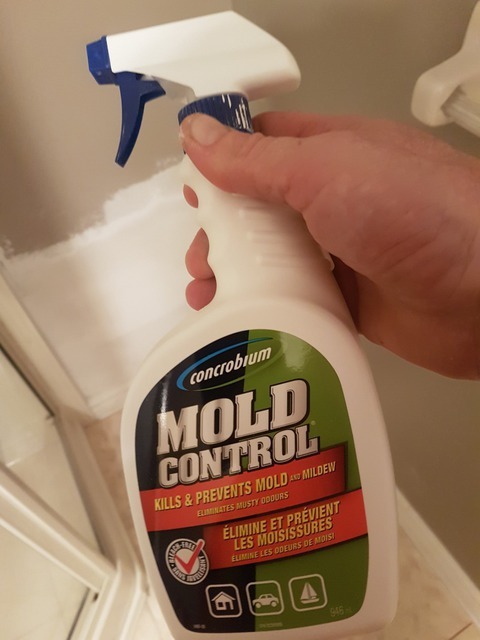 I would highly recommend Justin. And he's a great guy!! My neighbours have booked Justin after seeing the work he has done! Thank you for the review Chris. Happy to help! Justin was super friendly and helpful. Very reasonable pricing. 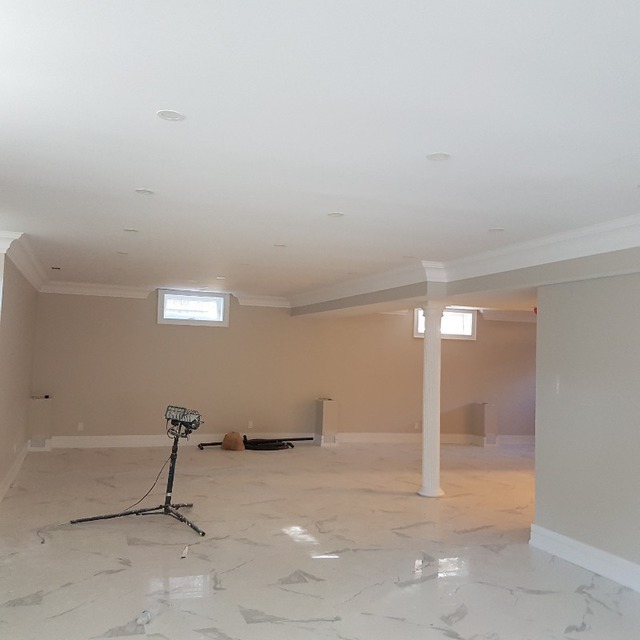 I would recommend Justin to anyone looking for a skilled drywaller and taper. Thanks again Matt. We hope you are enjoying your new kitchen. If you have any suggestion on how we can improve please feel free to comment! 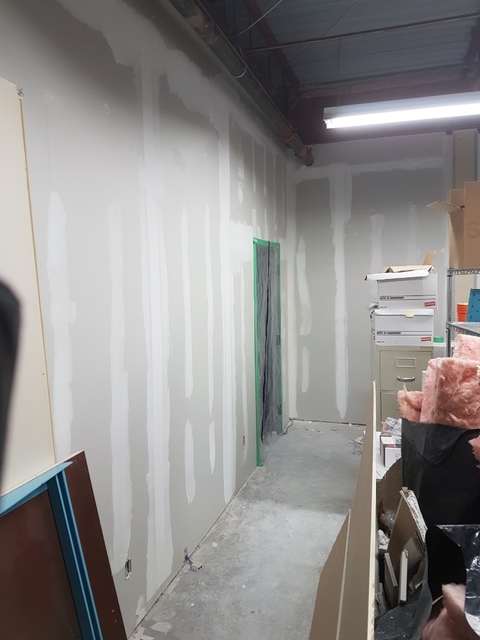 Office renovation including steel studs and drywall. 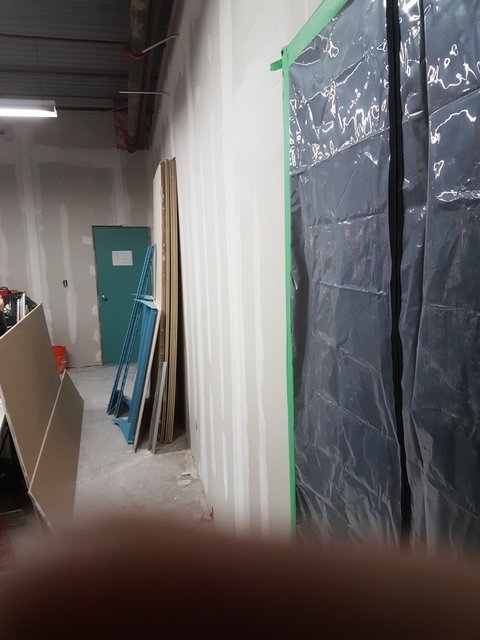 New Site:Port Perry .As timely as could be: work site kept clean, workmanship was precise utilizing all structural integrity. 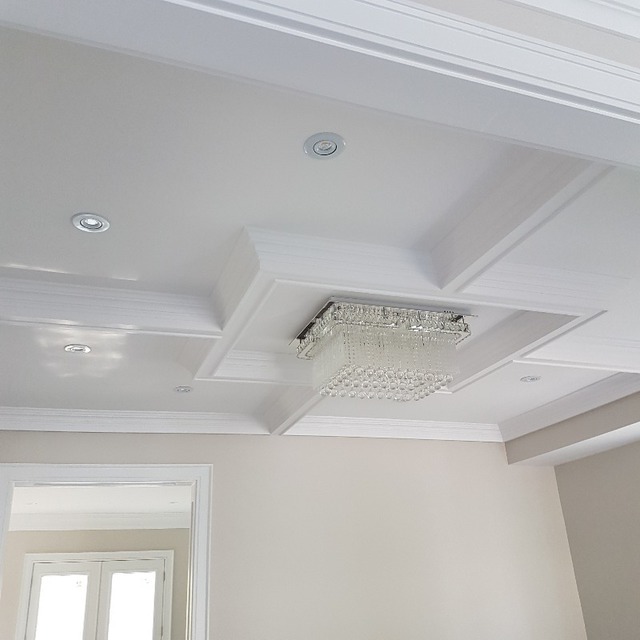 The work was completed quickly which indicates experience. Value for the money is sd good as it gets. Next Site: New site renovation. Thank you Donna. Excited to start the new office!! Since 2007 providing quality, good customer experience and integrity you can depend on. Call us to see what is possible.